I'm honestly not sure if people actually save money with Groupon or any of the other online coupon sites. I mean, sure there are some really good deals. However, some services do not have an actual pre-coupon value we can refer to. Take a massage for instance. Is the discounted price really 75% off of the regular value? Like do you get 75% less massage too??? One time, I didn't actually purchase the Groupon and vendor (to remain unnamed and no, it wasn't a massage parlour!) still offered me the deal. They admitted it was a way to get people in and the deal was not necessarily a one-time thing (ie. they could have gotten the deal by just negotiating). I realize this is not always the case, but it does make you wonder. Another issue is the expiry date. Although the time limit to use the coupon is generally quite good, most people forget about it and it sits there unused. That was the case of a night of bowling (at Town & Country Bowl) that Costanza had purchased a while back. So with less than a month left to use it, we decided to go on a Saturday night. Bad idea. When we walked into the place, it reminded us of a lone cowboy strolling into an inhospitable saloon. Just cue the Clint Eastwood music... Yes, it was league night and no, we didn't look like league material. 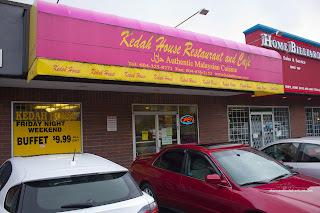 We turned around and made a dash for early eats at Kedah House nearby. On weekends, the draw at Kedah House is their buffet that rings a cent under $10.00 (before taxes of course). It isn't a large buffet by any stretch of the imagination, but for the price, we can't expect too much. When we arrived at a little past 5:00pm, the place was already half-full. 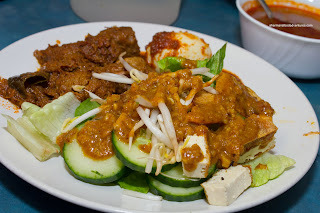 There was only 2 main items available - Beef Rendang and Chicken Lemak. We really liked the beef rendang. The meat was moist and tender while the flavour was full of depth. It was quite mild though as with the Chicken Lemak. Similarly to the rendang, the chicken was very tender and juicy, which was probably aided by the use of drumsticks. Salad, fried noodles and Sambal Eggs rounded out the buffet. Costanza wasn't satisfied with plain rice, so he put in an order of Roti Canai. 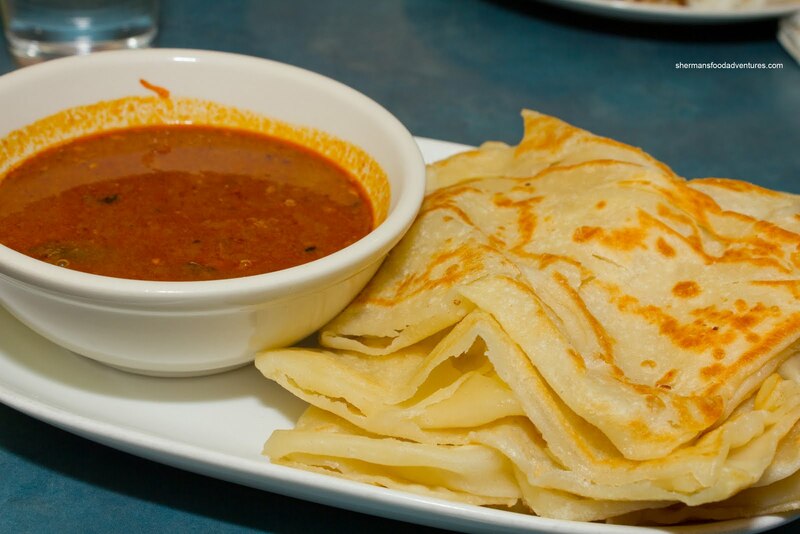 Although the dipping sauce was flavourful with a touch of spice, the roti was rather doughy. It looked as if it needed a bit more time on the flattop or pan or whatever they use. Hence it was dense and didn't have a textural contrast on any surface area. 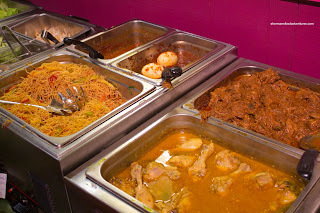 Despite this and the limited selection with the buffet, we felt it was a good value. Groupon (or similar coupons): Depending on where in Canada, they don't really "expire". Rather, the promotional value expire but you can still redeem what you paid for. For example, a month or so ago, there was an Old Navy coupon where, for $10, you would get $20 worth to be used prior to Dec 24th. You can still use it afterwards; just that it will be worth only $10. Did you have the black rice/taro dessert soup ? Oh so addictive ! @LR Yes I did! Didn't take a picture of it tho!